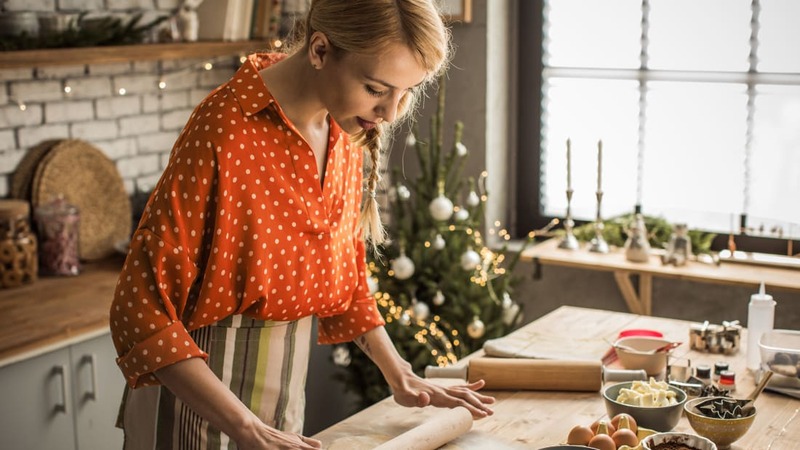 You don’t want to miss out on a holiday tradition just to save a little money, but between all the gifts, parties, and meals, this time of the year can certainly be rough on your budget. The good news is that you can still enjoy all the perks of the holidays without spending money you don’t have. Here are some simple tips for having an amazing holiday meal without breaking the bank. Not knowing how many people will join you for your holiday meal can stretch your budget. Buying too much of even just a few items is wasteful—not only will you be spending money you don’t need to, but a lot of that excess food will likely be thrown out at the end of the night. Your first step should be to find out exactly how many people are coming so you can figure out what you’re making, scrap any unnecessary side dishes, and calculate a finalized budget. Once you have a list of everything you need, don’t stray from it. There are a lot of impulse buys at your local supermarket and department store, but to stay on budget, you’re going to need to ignore those. Even the small $2 and $3 items can add up, leaving you with less money on what you actually need. There are certain items you’re going to need a lot of when preparing a big holiday meal. Butter, water, soda, sugar, salt, and plastic utensils are all things you can buy in bulk to save money, so get to your local warehouse club store and stock up on the essentials—plus, these are the types of items you can still use after the party if they’re left over. Another way to make sure you’re staying within your budget is to buy generic versions of certain items. Drinks, paper plates, napkins, and other small items are all comparable to their name-brand counterparts, and they can save you a surprising amount of money along the way. Once you have your list figured out, take a look at the prices for everything in your area and see which stores are a better bargain for you. A store you frequent often and where you’re a loyalty club member may offer better deals than a place that’s unfamiliar to you. And certain stores may offer things others don’t, so don’t be afraid to visit multiple locations if it makes sense for your budget. Supermarkets always have plenty of great coupons around the holidays, so be sure to pick up your local store’s flyer and get clipping. You also need to look into the perks you get for any customer loyalty cards you may have—as the holidays approach, many of these stores offer free turkeys for customers that have racked up enough points over the year. This would literally hand you your meal’s most expensive item for nothing. If you’re not the type to pore over a supermarket flyer with a pair of scissors, see if your favorite store has an app you can download that allows you to scan the same exact coupons right from your phone or tablet. Bakeries are always madhouses around the holidays, and you won’t find many items on sale, especially during the busy season. To cut down on cost and to add enjoyment, you might want to think about baking your desserts from scratch for any big meal. Cookies and brownies are easy enough for a novice, and there are plenty of simple cakes and slow cooker recipes you can find as well. And if you really want to save a little money, encourage some of your guests to bring a dessert. Homemade desserts from your friends’ kitchens can put a more personal stamp on your party. Need a great way to ease your everyday budget? Get more cashback from your credit card. With the Discover it Card, you’ll automatically have all of your cashback rewards matched at the end of your first year as a card member. Terms apply. Learn More at Discover.com.